Ford Motor Company has agreed to a class action settlement concerning its 2012-2016 model year Ford Focus vehicles and its 2011-2016 Ford Fiesta vehicles which contain PowerShift dual-clutch automatic transmissions – aka DPS6 transmissions. (See www.FordTransmissionSettlement.com for specific details regarding the proposed class action settlement.) These transmission are defective as, among other things, they require repeated clutch replacements, reprogramming of the PCM and TCM, replacement of TCMs, etc. My law firm has handled, and is handling, many of these Ford Focus/Fiesta defective transmission cases. The confusing proposed class action settlement provides limited remedies for those who have suffered with these defective transmissions. For example, one may receive cash payments totaling up to $2,325.00 for actual repairs made upon the transmissions and/or discount certificates of up to $4,650.00 toward a new car purchase. The proposed settlement also includes a binding arbitration provision for those who wish to have their defective vehicle’s repurchased. Unfortunately, there is no guarantee that an arbitration will result in a repurchase of a vehicle. Likely, the vast majority of Focus and Fiesta owners who choose arbitration will lose the arbitration and be stuck with little remedy and still be in possession of their defective vehicles. This proposed class action settlement is particularly hostile to people who bought their defective Ford Focus/Fiesta vehicles in California and may have valid California Lemon Law claims and/or other California based legal claims. Many people who have suffered repeated repairs upon their vehicles’ transmissions may have valid California Lemon Law claims that would entitled them to repurchases of their defective vehicles and/or other substantial remedies. If these owners do not opt-out of the settlement, they will likely waive California Lemon Law remedies that they would otherwise be entitled to. So who benefits most from this class action settlement? The big winners are Ford Motor Company and class counsel. Ford benefits because the class action settlement eliminates many legitimate legal claims, especially in California, that would result in substantial damages to consumers. Further, few settlement claims are likely to me made given the hassle of making the claims, the relative small dollar amount of the claims, the confusing nature of what claims one is entitled to and the amount of the claim, and the fact that many people will not receive notice of the class action settlement and if they do receive notice will not read notice or understand it. Class counsel benefits because they will likely make millions of dollars for representing the class and negotiating the settlement. And there is nothing wrong with attorneys getting paid for representation. Unfortunately, this proposed class action settlement does little to adequately compensate California consumers who, in good faith, purchased these defective vehicles. And it appears that Ford Motor Company allowed the sale of a majority of these vehicles knowing the transmissions were defective. If you would like more information regarding your California rights in relation to this proposed class action settlement or have any questions regarding the California Lemon Law, please call or e-mail us and we would be happy to provide you with a free consultation. Phone 866-360-6886; E-Mail : info@davidjfarrell.com . 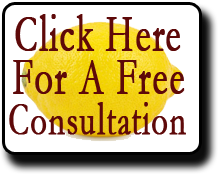 ← The California Lemon Law Applies to That?